8k 8" front, 6k 9" rear both are 62mm. 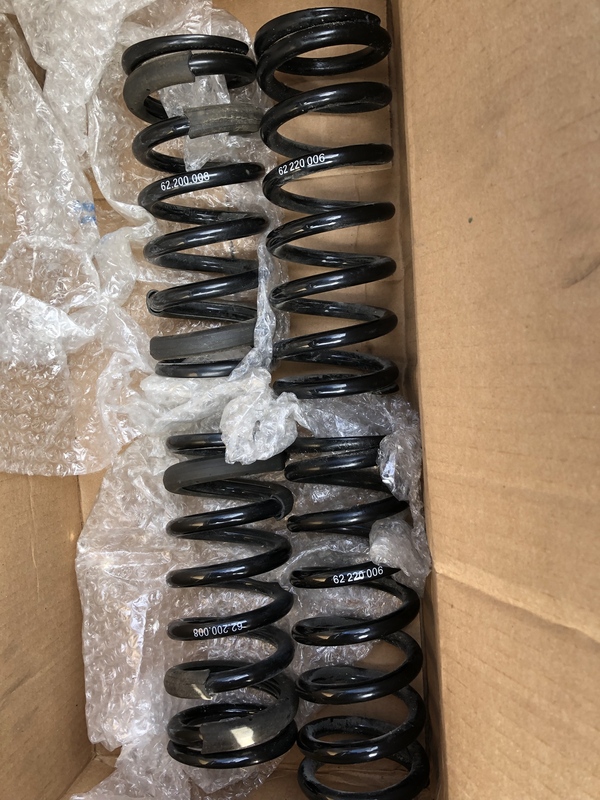 These are the stock bc springs. I'm looking for $75 shipped or pick up $50 for all 4. two years old only 5k miles. Last edited by jeff6666p; 03-18-2019 at 12:48 PM..
Can you pm me. It is not letting me pm you for some reason.